Fishing has been amazing! The warmer weather is giving us some great fishing with dry flies in the afternoons and evenings. There is nothing quite like the visual provided by a trout rising to engulf a fly. This visual also provides a knee-jerk reaction of excitement that yanks the fly out of the trouts' mouth! The water has some residual stain from our springtime rain a few weeks ago. The stream looks great for this time of year compared to years gone by. 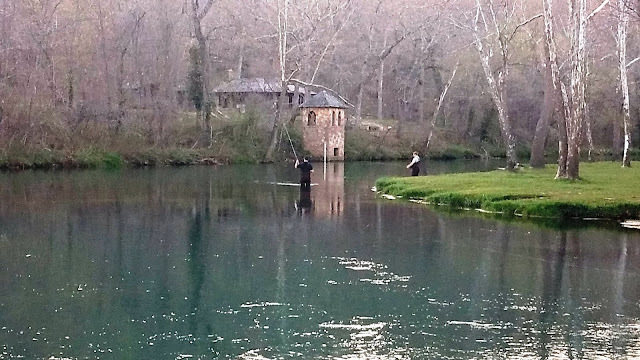 The stream is stocked in correlation with the tag sales at Bennett Spring State Park. 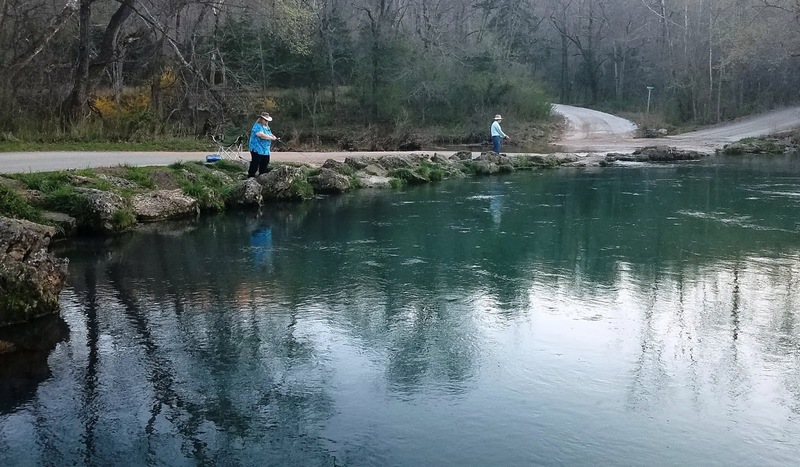 As the weather continues to get warmer we will see more people flock to the stream, which increases the amount of trout in the stream. We all have our traditions, but an interesting and fun annual tradition at Bennett Spring State Park is the "D" Cup Tournament. What started as a father and son trip 28 years ago has turned into a gathering of 27 men that come from near and far to enjoy the fishing, friendship, and competition for one weekend every Spring. The patriarch of this angling tribe is Skip Russell. He takes immense pride in this tradition he has developed over the past two decades. Last Saturday was the awards ceremony that included a traveling trophy that rivals the likes of the Stanley Cup presented to the winning team. There is also a celebratory fish fry for all participants. 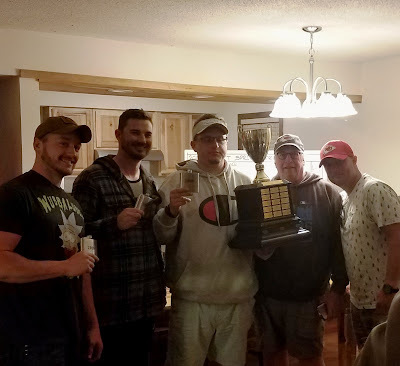 The "D" Cup Champions for 2019 were: John Russell, Skip Russell, Taylor White, Sean Mahoney, and John Ryan. Congratulations!!! We hope your tradition continues to withstand the test of time. Gage House reading (water level) is 2.16 feet. Wednesday: Mostly sunny, with a high near 80. Breezy, with a south wind 13 to 21 mph, with gusts as high as 33 mph. Thursday: Mostly sunny, with a high near 66. Breezy. Friday: Mostly sunny, with a high near 54. Saturday: Partly sunny, with a high near 58. Sunday: A chance of showers. Mostly cloudy, with a high near 59. The Mayfly Project Fly Tying Night at the Bennett Spring Church of God Annex Building - www.TheMayFlyProject.com . May 10, 2019 6-8 P.M.
My best fishing-memory is about some fish that I never caught.